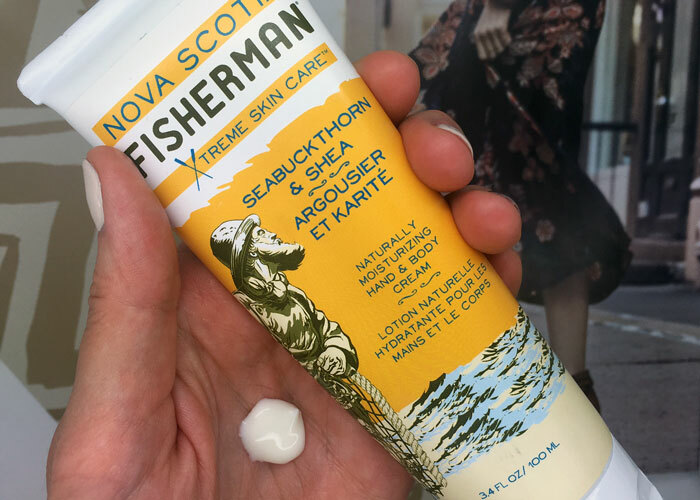 I don’t know if it’s because it’s geared toward dudes (dudes can’t stand greasy hands) or what, but this hand cream from Nova Scotia Fisherman is absolutely fantastic. Though it’s not exclusively marketed as a hand cream — works just fine on the body too! 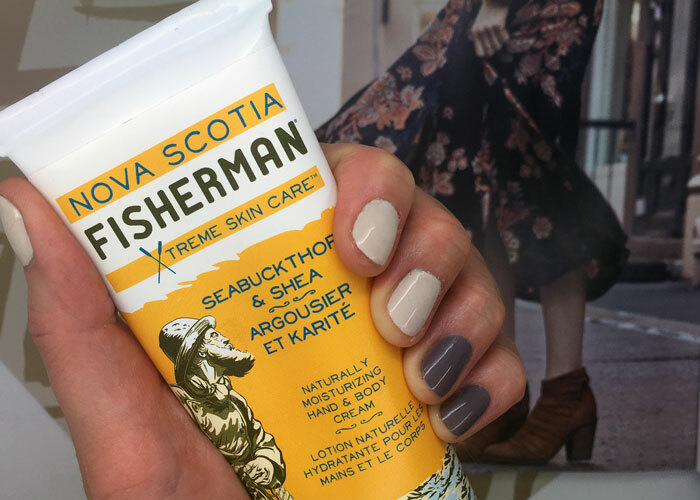 — Nova Scotia Fisherman’s Hand & Body Cream is exceptional at keeping hands beautifully soft without a touch of oiliness. It blends into the skin quickly and enables you to get back to scrolling Instagram with little-to-no greaseprints. This Canadian-made hand cream has earned a spot on my nightstand because of its subtle-to-nonexistent scent (another thing that appeals to dudes) and perfect texture. That’s thanks to a blend of glycerin, shea butter, grapeseed oil, avocado oil, coconut oil, jojoba oil and pumpkin seed oil, just to name a few. Tastes of tangerine, ginger and lemongrass delicately scent this cream, but it’s nearly undetectable. Any scent you may pick up dissipates within seconds, giving you a very neutral fragrance that doesn’t interfere with perfume or body oils. My only issue with Nova Scotia Fisherman’s Seabuckthorn & Shea Hand & Body Cream is its front-of-package marketing. It touts seabuckthorn (ingredient “Hippophae Rhamnoides Oil”) as well as sea kelp, aka “Fucus Vesiculosus Powder” (look at the website link to see the updated packaging). Both of these ingredients show up near the end of the list. It’s not like there are fillers and junk above these two ingredients, as with many greenwashed brands, but I think … well … we missed the point of HOW THE HELL DID THESE FORMULATORS PACK IN SO MANY BUTTERS AND OILS WITHOUT MAKING A GREASY PRODUCT? This little messaging snafu aside, Nova Scotia Fisherman’s Hand & Body Cream is legit for men and women alike. I’d love to see it in a smaller, travel-friendly tube because I want to be able to take it everywhere. For now, though, I’ll go ahead and take it to the “repurchase” list on my Ultimate Guide to Natural Hand Creams. Have you tried anything from Nova Scotia Fisherman? What are your favorite hand and body creams? What do you look for in a hand cream? Tell me in the comments!